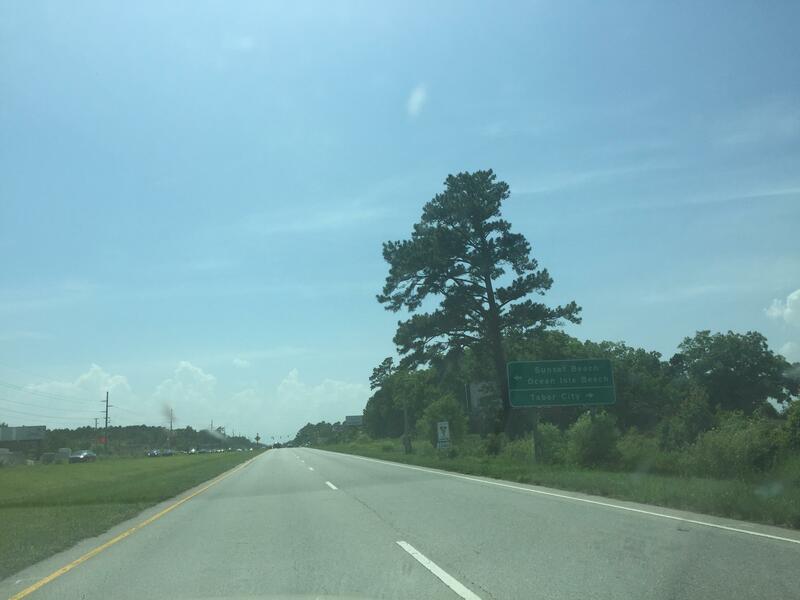 Yesterday I drove from my house in Harford County, Maryland down to Myrtle Beach for a weekend family gathering for my grandmother's 95th birthday. We left just before 6AM. This sunrise, seen here from Route 543 at Walters Mill in HarCo, down the road from my house, was obscured by clouds. There was a car off the road and into a tree along the Bel Air Bypass (U.S. Route 1) at the Route 24 split just a few miles from there. The emergency vehicles were packing up to leave as we passed by the scene. 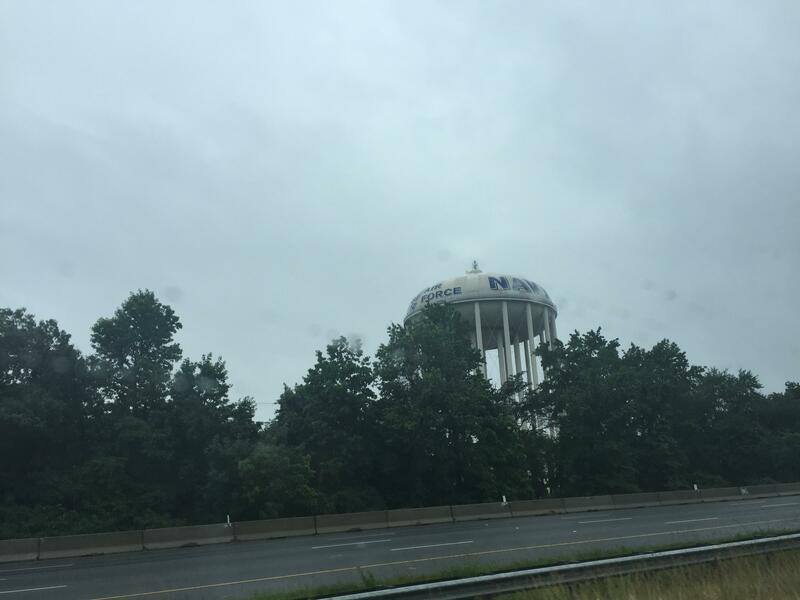 We stopped at Royal Farms at Route 152 and Franklinville, at I-95 exit 74 in Joppa, Maryland, to top off before getting onto I-95. Turning on WTOP as we navigated through southwestern Baltimore County (Catonsville-Arbutus-UMBC) on 95, we heard news of a fiery, fatal crash on New York Avenue near South Dakota Avenue in northeast Washington, D.C. Traffic was backed up on the Baltimore-Washington Parkway southbound starting at the MD-410 interchange, they said. 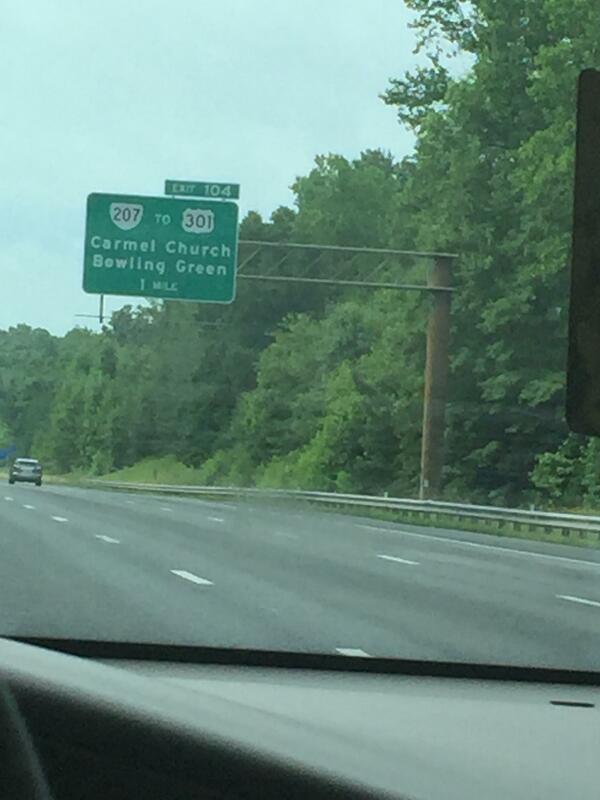 My mom's boyfriend texted us to just use I-97 to U.S. 301 and take 301 into Virginia instead, but we had already committed to staying on I-95 around DC and into Virginia. We hit heavy traffic at exit 7, MD-5 in the Suitland-Silver Hill area. 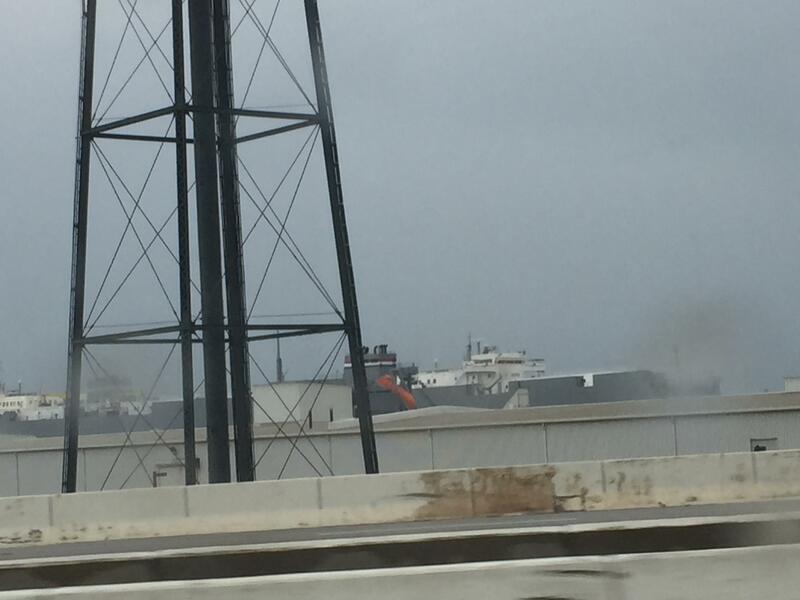 It persisted to the Wilson Bridge. 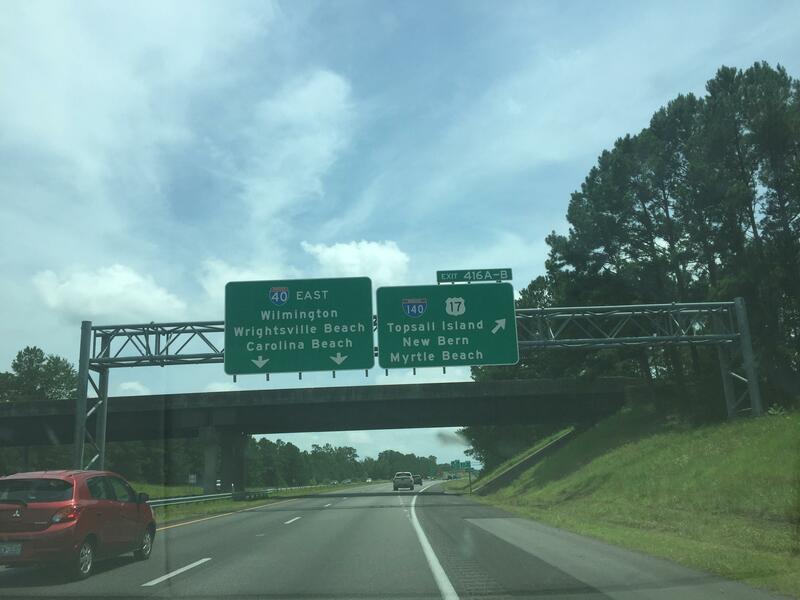 Once we passed the Welcome to Virginia sign and passed by the first Alexandria exit, we were moving again. Continuing on I-95 south after making our way through the Springfield Interchange, we came across exit 152, Route 234 in Dumfries. 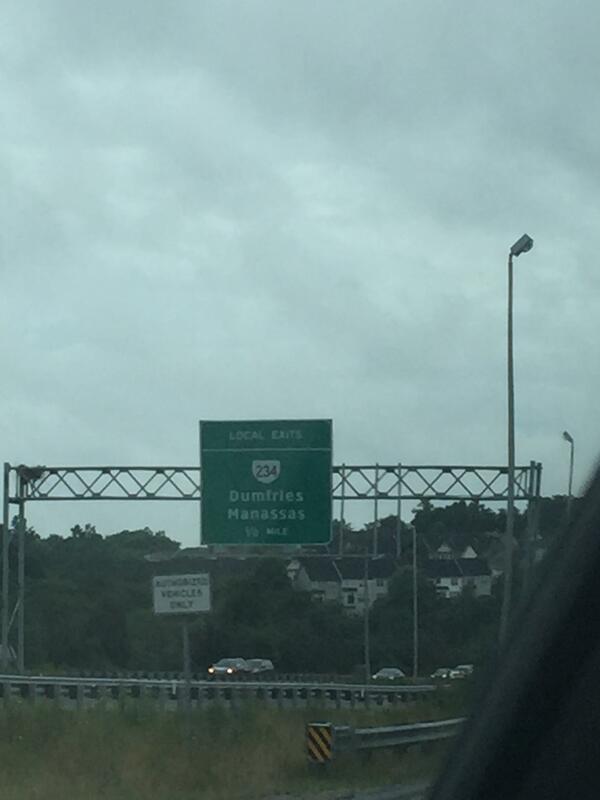 My dad's late parents once lived on the Montclair-Manassas side of that exit. 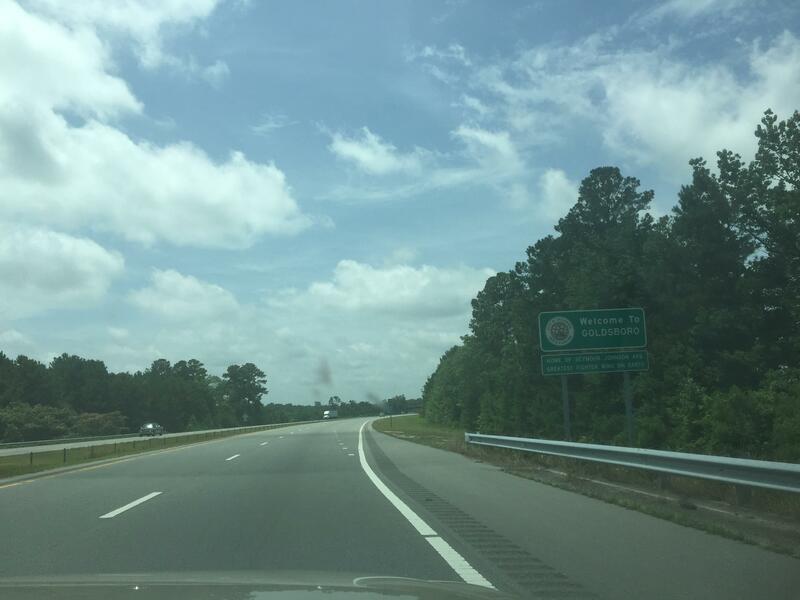 Two exits later, VA-207 comes in after splitting from U.S. 301 outside Fort A.P. Hill at Bowling Green. In other words, Nice Bridge traffic comes onto I-95 at 104, if they don't stay on U.S. 301 through Hanover. 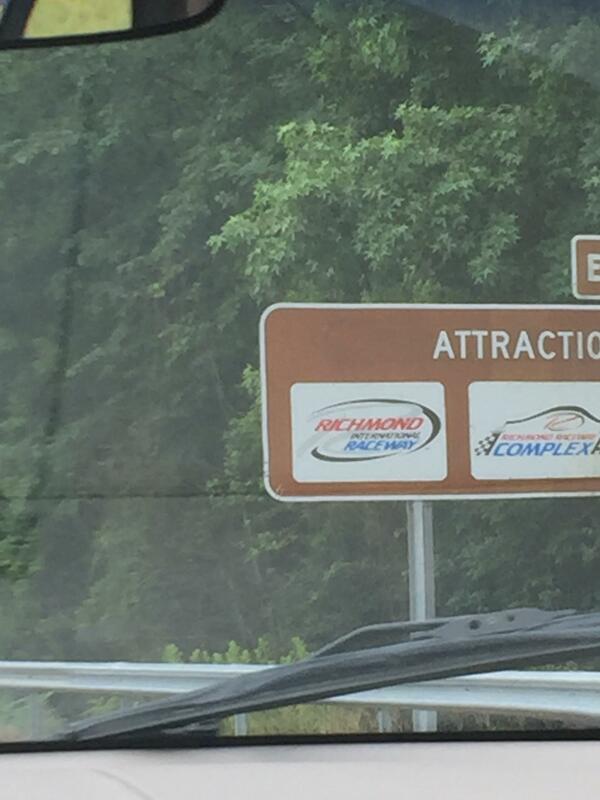 Exit 82 leads NASCAR fans to the Richmond International Raceway. My boy Joey Logano won there in April. 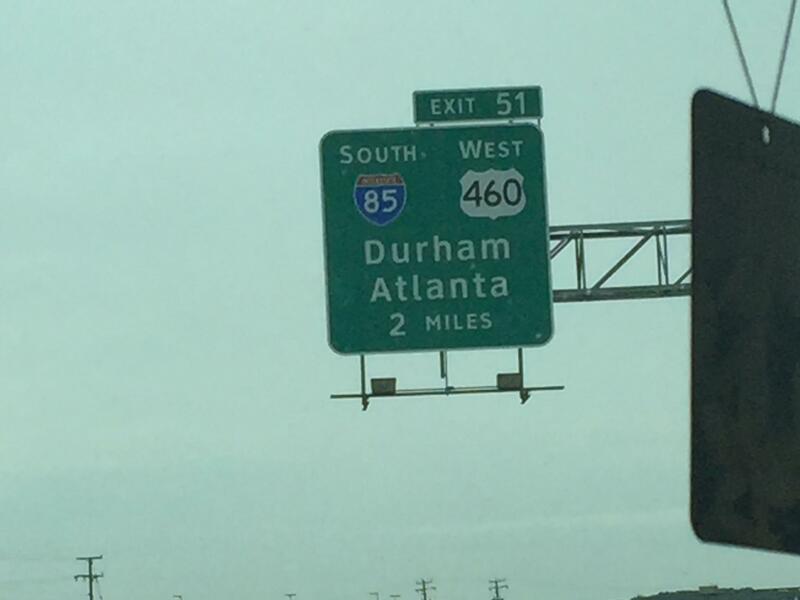 And then down in Petersburg, I-85 splits off, control cities being Durham, North Carolina and Atlanta, Georgia. 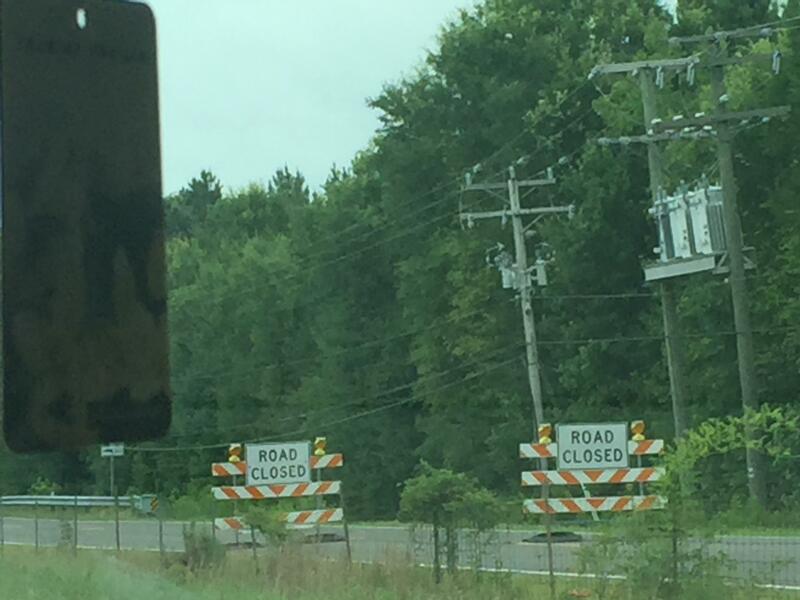 Outside of the Richmond-Petersburg hub, around Stony Creek in Sussex County, I noticed that U.S. 301, which runs right next to I-95 here, was closed at the Nottoway River bridge for a replacement of the bridge. 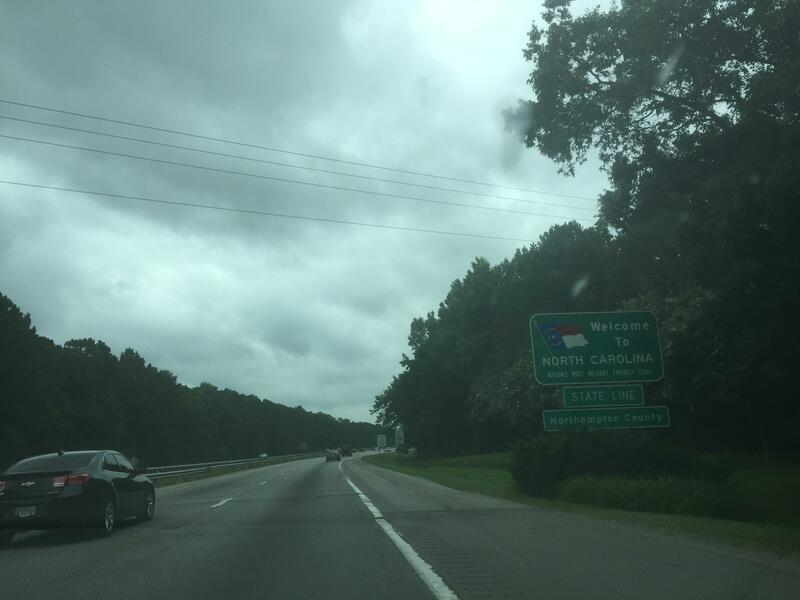 Our lone stop of the day was at exit 4, Skippers, the last exit prior to the North Carolina state line. 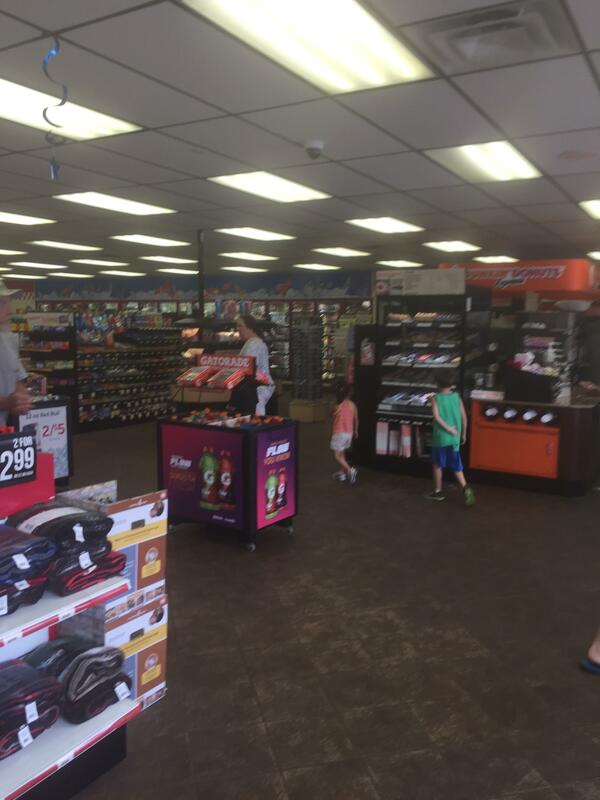 We hit up the Pilot/Subway/Dunkin' Donuts/Stuckey's off that exit. I love Southern Virginia's travel stops. 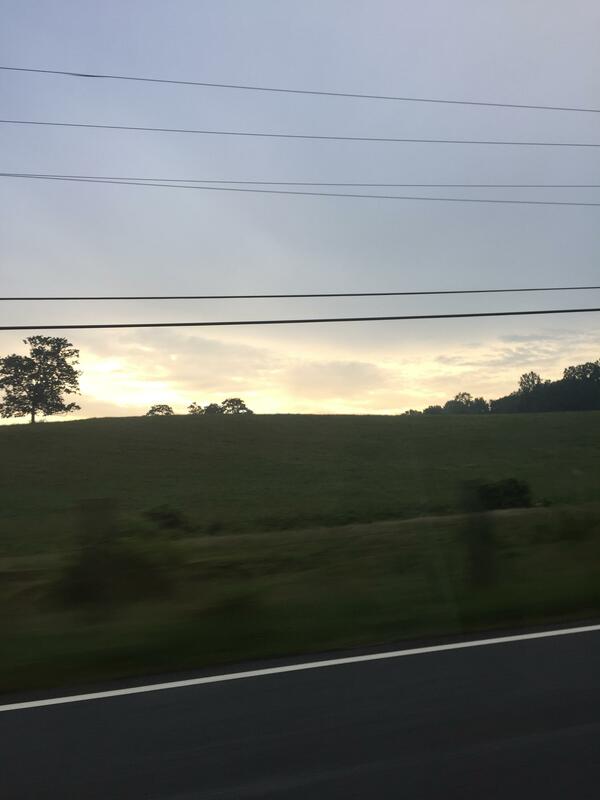 I got shotgun next and we entered North Carolina. 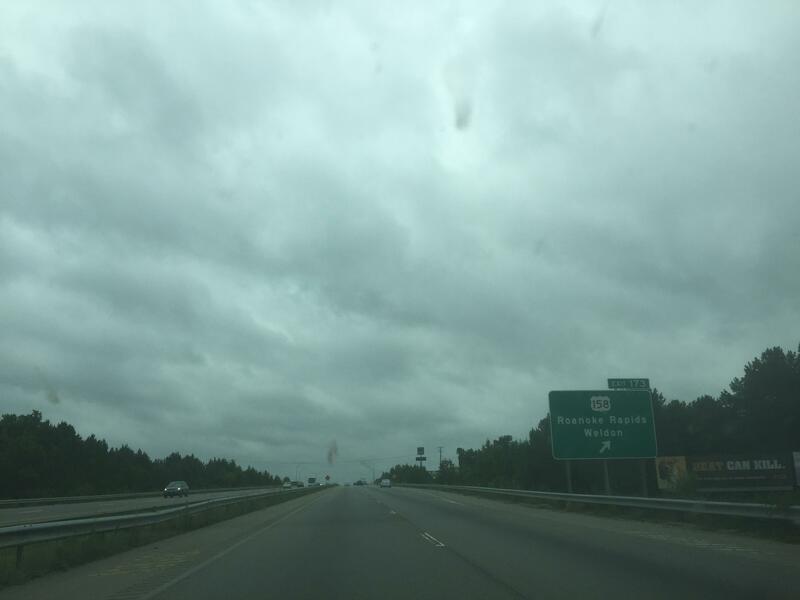 North Carolina exit 173, Roanoke Rapids/U.S. 158, has its own website. 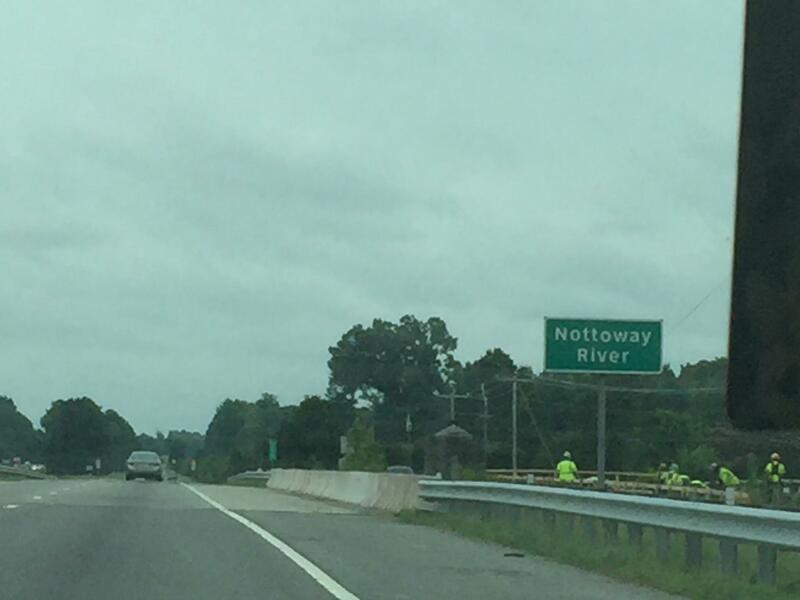 Shame on North Carolina for not embracing Clearview font. 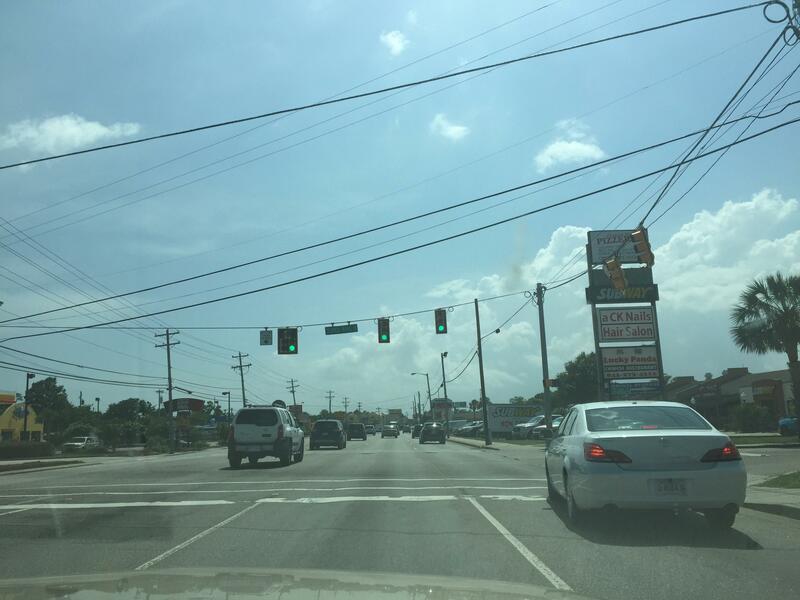 At exit 119 near Wilson, we cut off onto I-795/U.S. 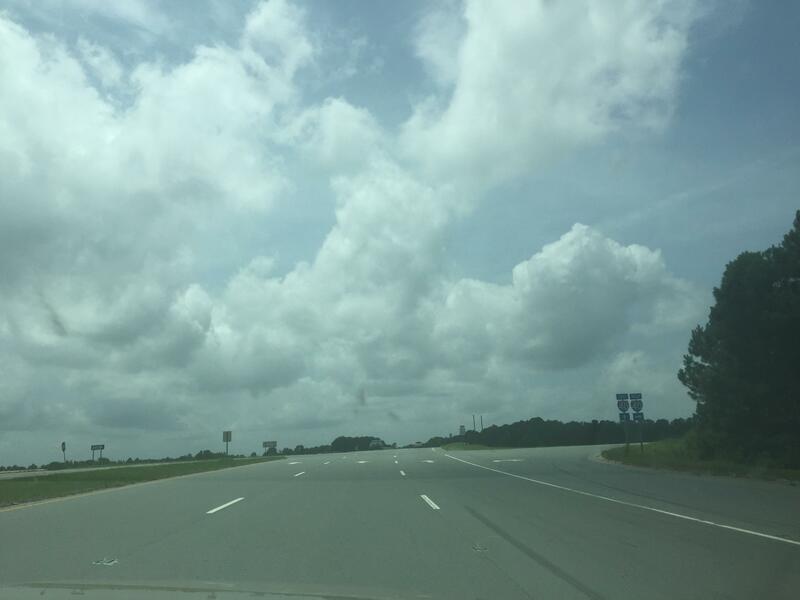 264, from which I-795 splits off to Goldsboro after a few miles. 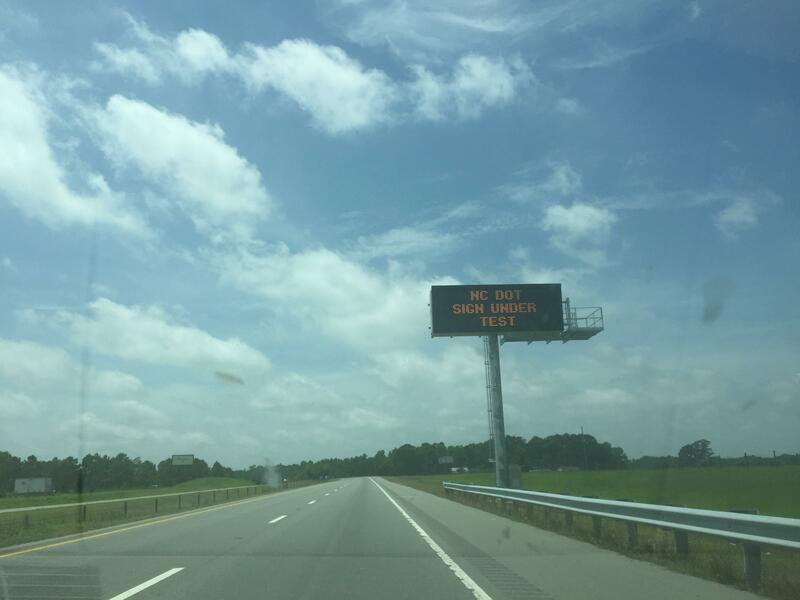 NCDOT got more money and installed a bunch of Dynamic Message Signs!!! 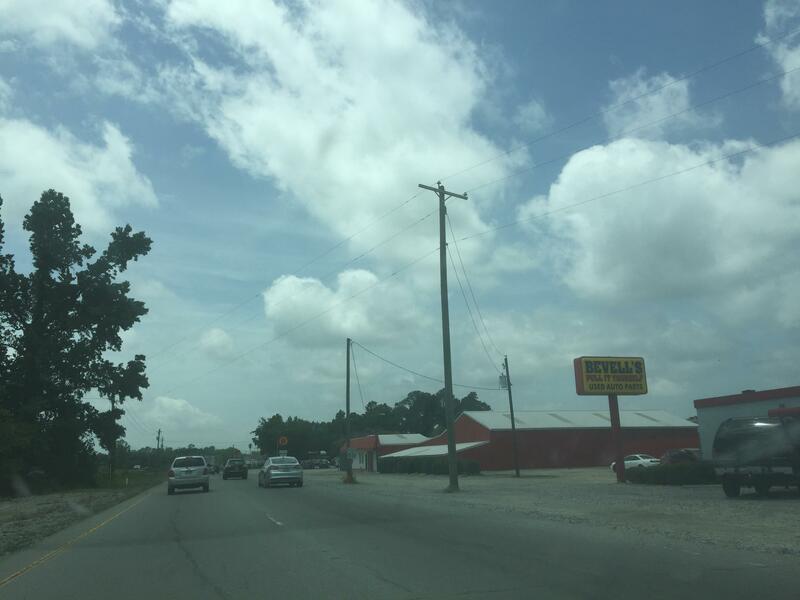 Goldsboro is home to the Seymour Johnson Air Force Base. 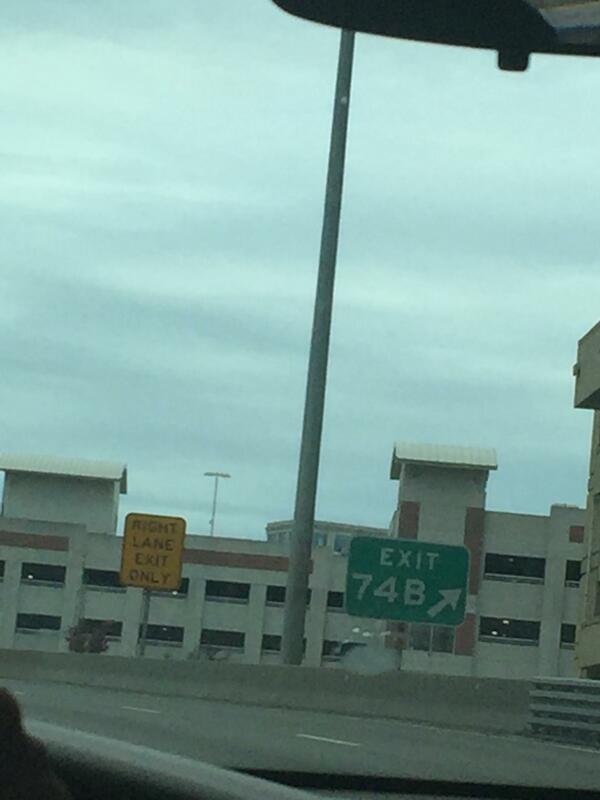 I-795 segues into U.S. 117 there. 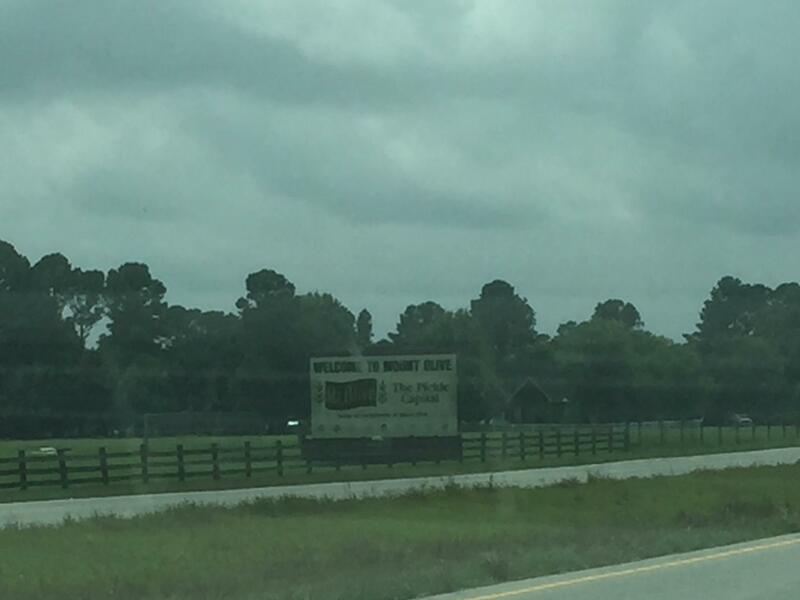 Next, we passed by Mount Olive, home of the namesake pickle company, whose property my mom and her boyfriend visited back in April. 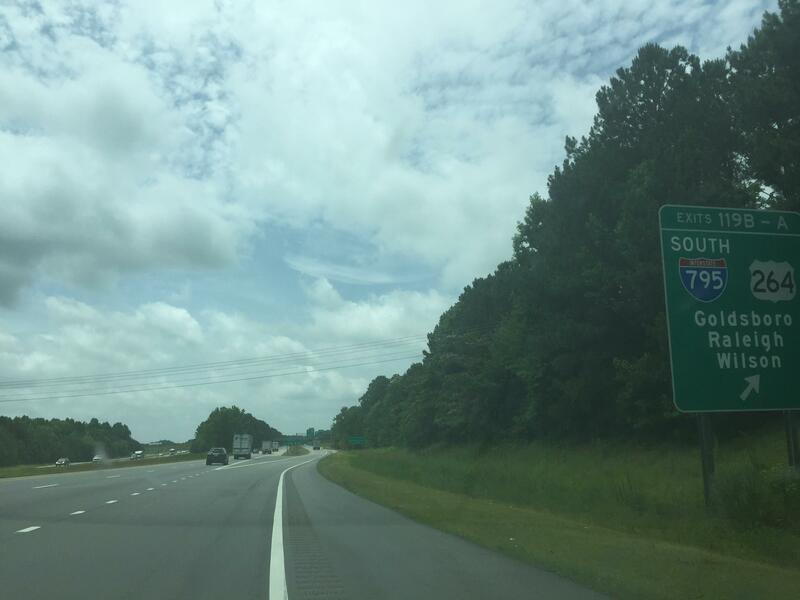 The U.S. 117 connector took us to Interstate 40. 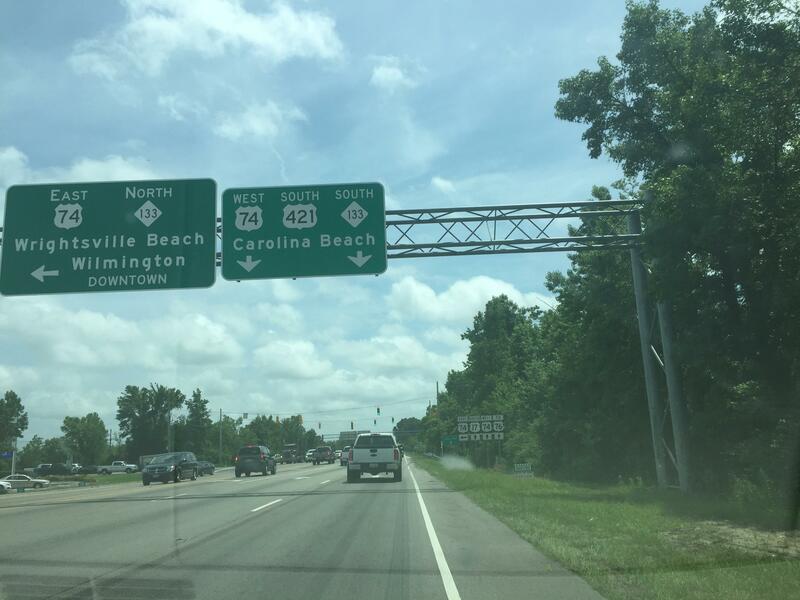 Did you know that North Carolina Route 24 has a business route through Duplin County? I didn't! 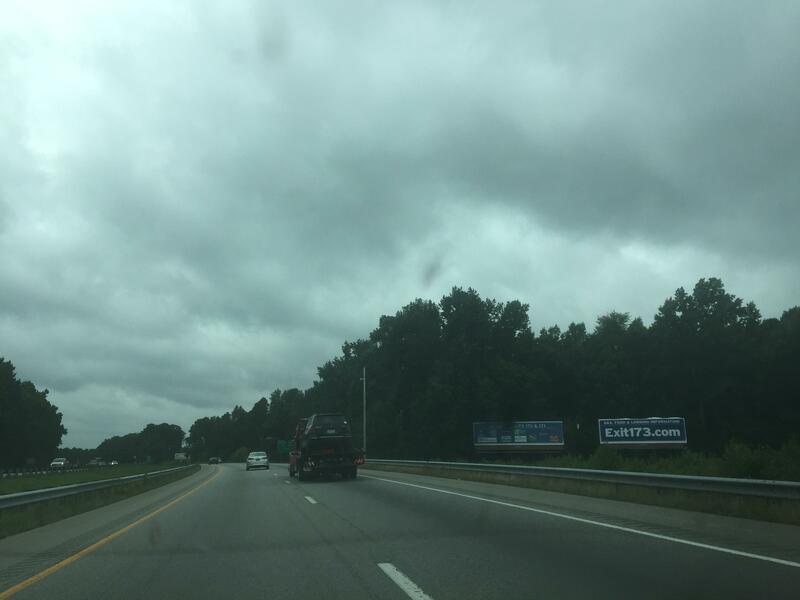 We got off I-40 onto I-140 just shy of Wilmington. It took us to U.S. 17/421. 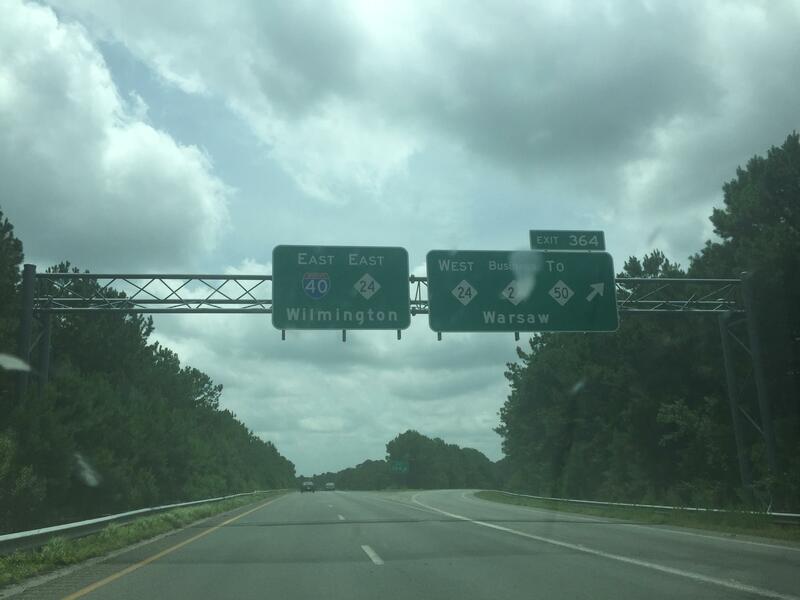 I-140 will connect with U.S. 17 west of Wilmington in the future. 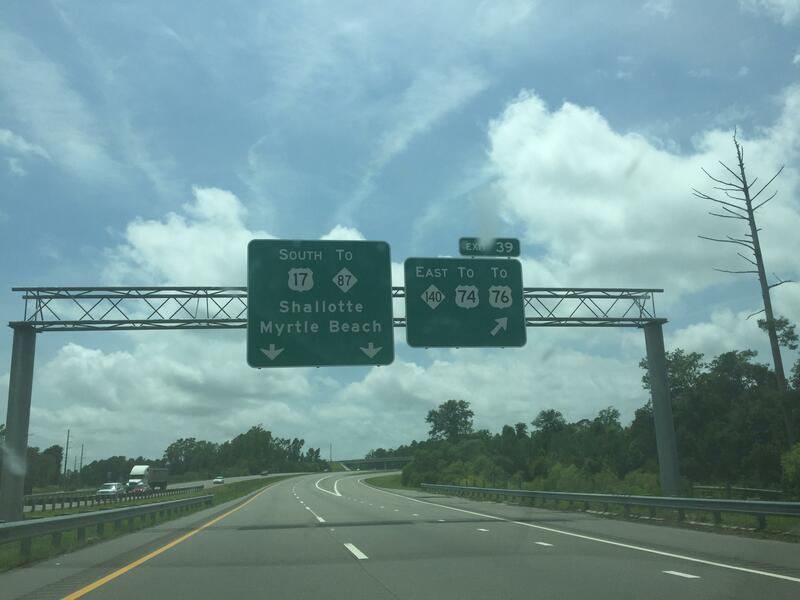 We then made our way down U.S. 17 to get away from Wilmington, through Brunswick County and the rest of the way to the South Carolina line. 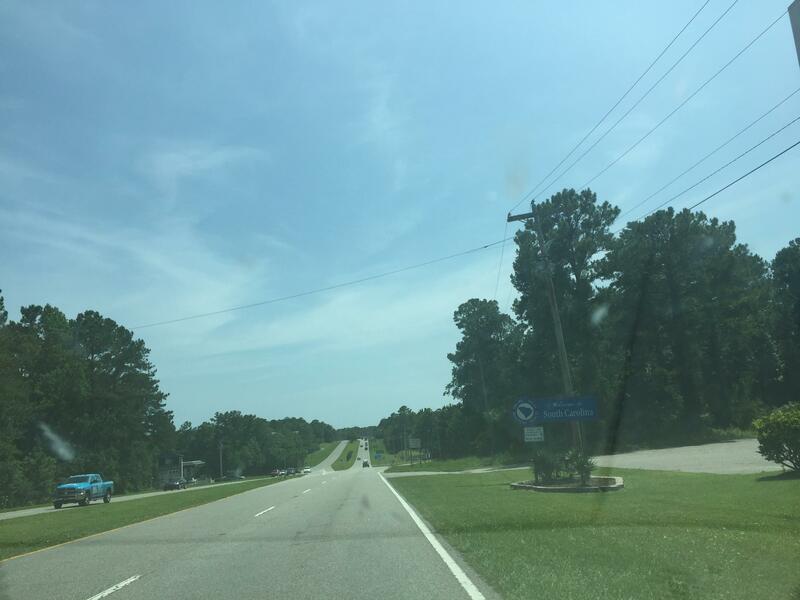 NC-904 goes from U.S. 17 to Tabor City in Columbus County. 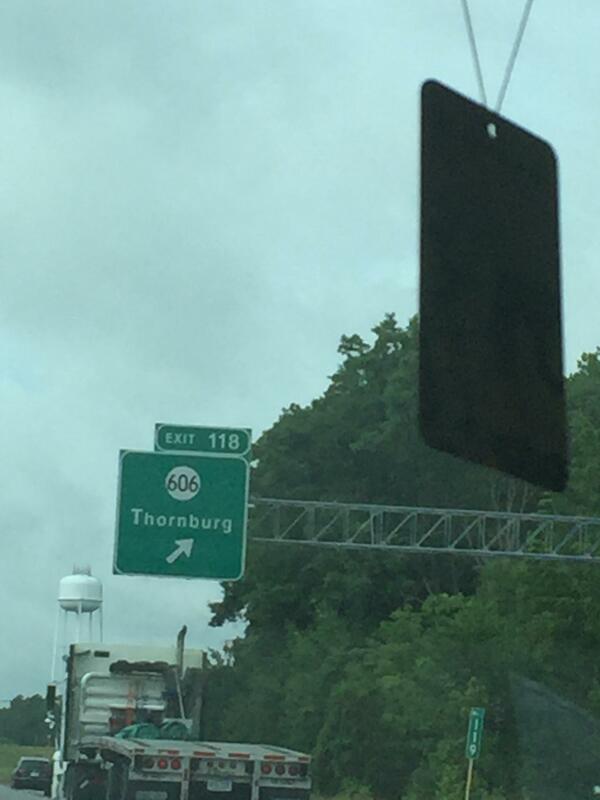 We used to pass by Tabor City when we would take I-95 to Lumberton and follow 74 to 410 to 701. We made it to South Carolina! 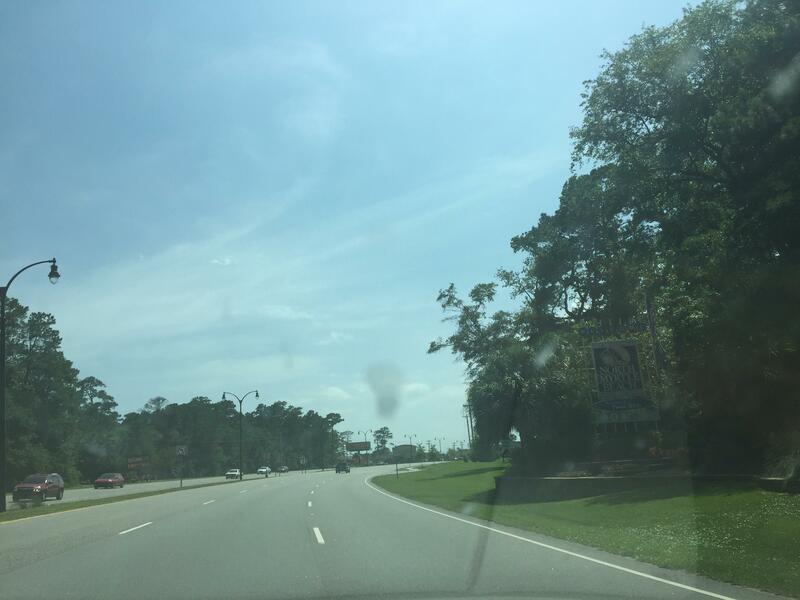 We continued on U.S. 17 into North Myrtle Beach and across the bridge. Almost there! 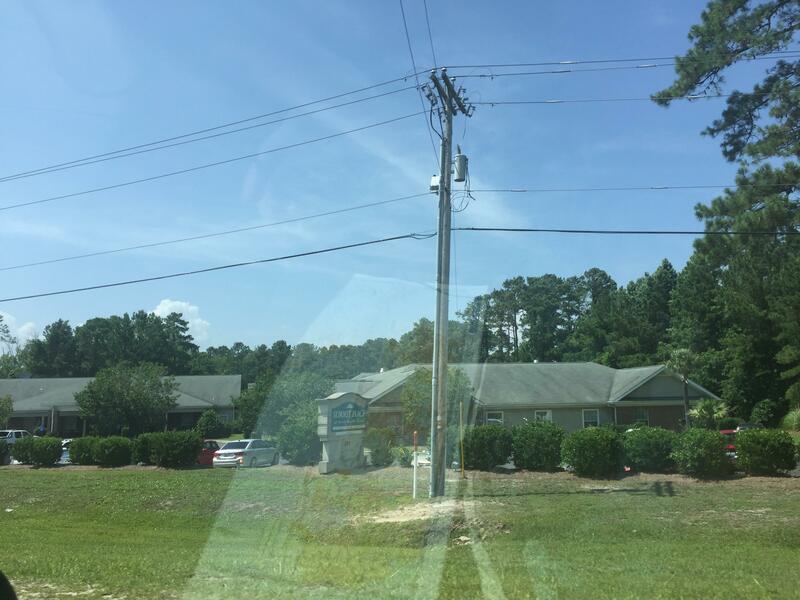 A couple of miles further down from that, we made it to our condo for the weekend at the Barefoot Resort complex, where my mom's sister and brother-in-law also live. We went over there in the evening for appetizers and drinks. It's going to be a fun vacation, if a short one. I'll be back to post the return trip that we'll do on Monday. I just did about the same thing in April, except I came from Charles Town. We took pretty much the same routes. And yeah, NC-24 Business is alive and well. I used to live in Warsaw from 1998-2000. It runs between I-40 and Kenansville.